Why choose Nuffield Health Haywards Heath Hospital for your facet joint injections? If you suffer from osteoarthritis or spinal pain, you may benefit from facet joint injections, a pain management treatment which uses a local anaesthetic to block pain from wearing facet joints in your spine. 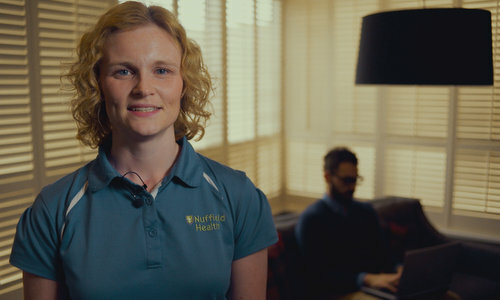 At Nuffield Health Haywards Heath Hospital we specialise in spinal treatment, providing patients from West Sussex and further afield a range of minor and complex spinal procedures. Our experienced spinal consultants can provide you with a detailed diagnosis and comprehensive treatment plan, personalised to you and the severity of your condition. To ensure the highest level of clinical care, our skilled consultants are fully supported by our attentive matron-led nursing team, who are dedicated to your care and wellbeing during your hospital stay. You can rest assured that you will be in the best possible hands for your treatment. If you are suffering from spinal pain and want to discuss your treatment options with one of our consultants in Haywards Heath, you will need to book a private consultation via our dedicated enquiry team on 01444 847488. A facet joint injection is a diagnostic tool to help your consultant confirm that your pain is caused by your wear and tear of your facet joints. What happens during an x-ray guided facet joint injection at Nuffield Health Haywards Heath Hospital? We will monitor you carefully during the injection. Keep a record of your pain levels so that your consultant can plan your pain management programme or follow-up treatment. Allergic reaction to local anaesthetic.